I must admit I was a bit shocked when I saw how long it had been since my last blog post. I have read in more that one place that we have to make time to do the things that matter or we will never do them. We also must not wait until everything is perfect before we pursue our dreams. Our lives are ever-changing but our dreams remain in our hearts. I have a dream of writing a book about my sons and their daily battle with Duchenne Muscular Dystrophy. A book that I hope will inspire people to donate to the MDA and reach out to families afflicted with devastating, neuromuscular diseases. So much has changed since my last post. After over 10 years of being a full-time caregiver for my sons, I am back at work. Not just any place of employment but the very company that I left to care for my sons. I feel tremendously blessed to be rehired. Even with blessings, it’s easy to still experience moments of fear and doubt. Questions circled in my mind such as wondering if I would remember everything. There is also the social aspect of working outside of the home that I have been missing for far too long. It has been fun seeing people who I haven’t seen in years, literally. It has been difficult not seeing my son as much but this change enables us to be a healthier and happier family. October 27th marked the one year anniversary since Christian passed away. I honestly thought it would be beneficial for me to go to work and with this year being the first one, I didn’t know what to expect. Let’s just say I had to go home. Being with my family made the day easier to bear for all of us. This fall has been painful. As I have been watching the leaves turn and fall off of the trees and the sun shine at a different angle, I have been flashing back to our last few weeks with Christian. The good Lord has given me the comfort and strength I need to keep putting one foot in front of the other. One sign of the healing that has taken place over the last year is the little moments of joy that fill my heart at the most simple of things. A squirrel greeted me on one of my courthouse runs with a mouthful of leaves. A house finch called to me from under a car in the parking lot behind the treasurer’s office. A pigeon greeted me above the door before I went inside. The simplest of sights are the most beautiful. 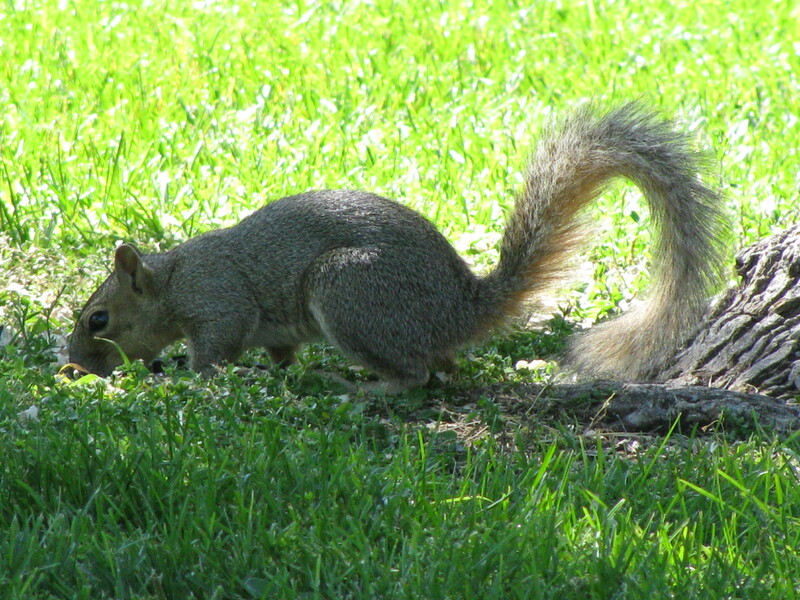 A squirrel in Gibson Park years ago. I had to remind myself lately that going back to work full-time does not mean I have to stop pursuing my dreams. We can always carve out a little time every day to write, play a song on the piano or take a 30 minute walk. I would love to hear about your dreams and I will keep you posted on mine. I have a piano that I would love to start playing again but with most things, I will need to take baby steps. I read a blog post by Tsh Oxenreider (theartofsimple.net) about not setting goals too big or it sets us up to fail. 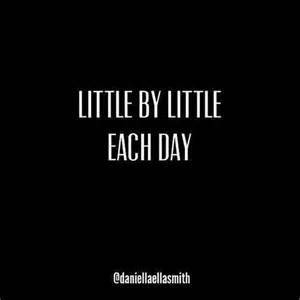 It’s far easier to exceed a goal that’s simpler and realistic. Wise words!